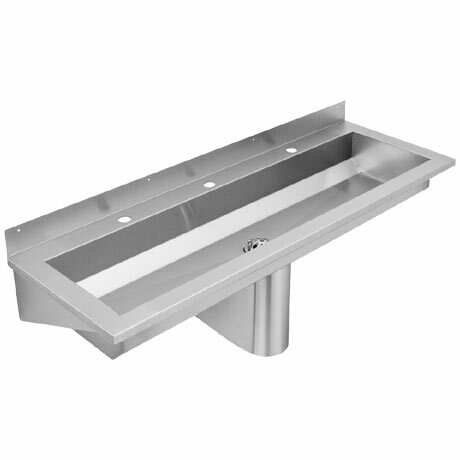 The SANX180 is an 1800mm wall mounted washtrough designed for commercial use. Made from high grade 1.2mm thick stainless steel, it features a tap ledge and three tapholes. Supplied with a shroud and 51mm domed brass waste outlet.